Sorry for the late post, I was mesmerized by the new Apple I-Pad. It is a very nice toy. I do have a Kindle and I just love it, but still the I-Pad is a nice toy. I am not sure that I am going to jump to buy it as I already have a reading device that I am very happy with. Ohhh well....now returning to this week's card. 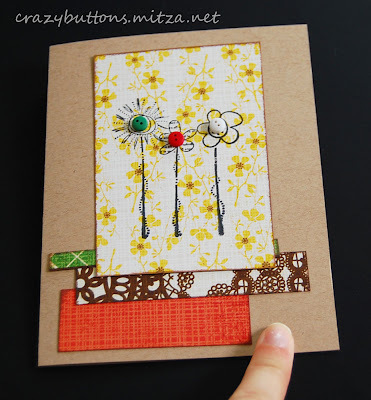 I used BasicGrey Nook&Pantry and Flower Stems stamp from Autumn Leaves. 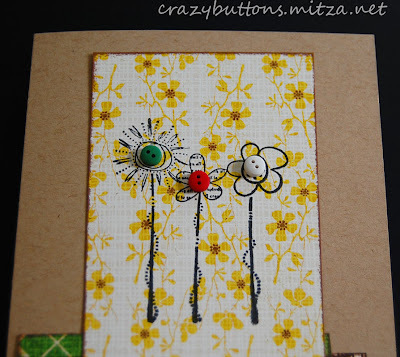 Please feel free to leave a comment and mention a link to a similar card that you created. I promise I will check it out!! !